Sue’s approach to healing is to thoroughly investigate what caused the problem in the first place to get to the cause of the problem, rather than only look at the condition in isolation. Sue is a fully qualified naturopath and nutritionist. 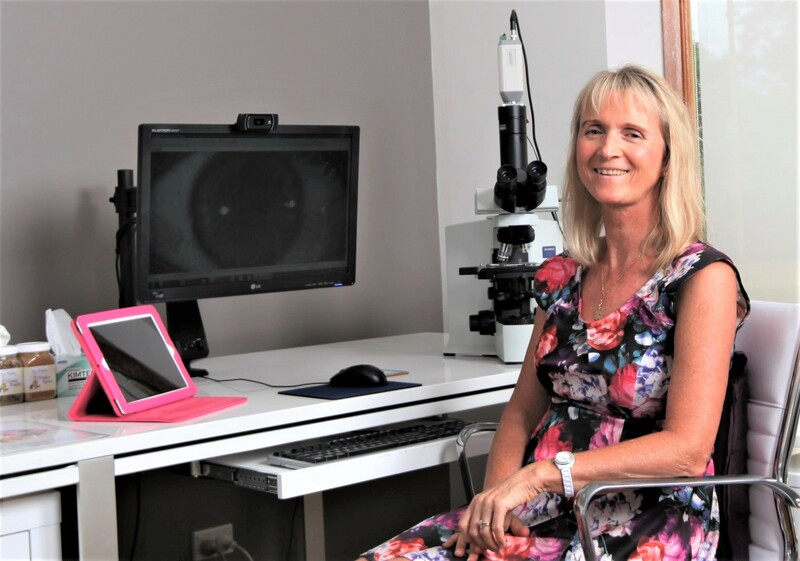 Apart from these modalities, Sue’s background is in health sciences including pathology, forensic medicine, research and pathology laboratory testing. She is a member of the Australian Traditional Medicine Society (ATMS), 4624. Sue was previously the proprietor of Ballina Naturopathics for 14 years, a clinic with a reputation as a leading detoxification center, ran health retreats at Byron Bay for four years and set up True Vitality in 2009. Sue has written numerous articles and lectured to naturopathy students at Southern Cross University along with speaking engagements at various seminars, workshops and events. During the last 27 years, she has constantly observed the relationship between her clients’ health and their emotions. The association was too powerful to ignore, so consequently, Sue immersed herself in studies involving the connectivity of our thoughts, emotions and energy systems on health. The results on her clients’ overall health have been quite significant. Sue found that apart from the physical conditions that were healed, many clients reported that they felt more emotionally balanced and connected to their soul and more able to feel what was right for their health (more in-tune with their inner self). To introduce myself, following is an insight into my background, philosophy about health and the way I work with clients to help them move ahead. It has been a remarkable journey and one that continues to become more exciting as time goes on as my knowledge, experience and understanding grows. After leaving school I travelled and tried different jobs before working as a lab technician. I then moved into forensic science, followed by pathology and laboratory research. Following a miscarriage in 1985 I was referred to something I had never heard of before – a naturopath. This was a revelation to me. I had discovered my true calling: to become a healer. I became immersed in studies for 4 years, which was just the beginning. I was a sponge, soaking up as much information about health as possible from lectures, books and seminars (which I continue to do today). After working for other naturopaths, I opened my own clinic in 1993. As the clinic ‘evolved’, detoxification and colon hydrotherapy became a major part of the business back then. Although clients normally see me about a physical ailment or imbalance and I very much support this side of the story, I like to also look ‘behind’ the problem. Generally there is a cause for everything. Things don’t just go wrong without a reason. On one level I may consider lifestyle habits that may have contributed to their problem, such as inappropriate diet or stress. I like to look deeper and see what emotional imbalance may be causing the problem. For example, they may have chosen to eat the wrong foods to ‘feed’ certain emotional needs. Perhaps they ‘attract’ particular types of people into their lives who have a negative influence or, they may keep repeating self-sabotaging patterns of behaviour. When I treat clients purely on a physical level, invariably the condition returns because they re-create the same scenario that manifested the problem in the first place; but for those that do not wish to ‘go there’ I still treat the physical as this is also very important. Clients often tell me they know what they should be eating or doing in their life, but they don’t do it. They need someone else to tell them. This can work for a while, particularly if they have a motivating factor such as a serious illness. The worse people feel, the higher their motivation. But once the pain or problem subsides, the sense of urgency disappears and people often revert to their comfort zone and are happy with that…and that’s fine. Yet if people are genuinely ready to completely heal, it requires working on all levels – physical, mental and emotional. I believe that the body is our sub-conscious mind and it talks to us via signs and symptoms (symbols). Minor conditions are symbolic of an imbalance in its early stages. When we don’t listen to these symbols, our body (sub-conscious mind) will think ‘hmmm, not listening, so now let’s manifest a more serious symptom’. Then if the symptom is not addressed, it may turn into a diseased state. The body is our marker of our truth. So when I see a client with a set of symptoms, initially I will address the physical. Then if I know that person is open to listening to what their body is trying to tell them, I share my interpretation of what this could mean on an emotional level. These will often be simply key words and not necessarily an accurate diagnosis. Amazingly the process often unearths an emotional aspect that relates to the individuals physical symptoms. My journey has taken me into an arena where I tend to focus on the mind-body connection. Along the way I, like most of us, have also had personal emotional issues to deal with in my life and my own search for personal happiness and satisfaction has been a fascinating and fulfilling process. Since 2006 my studies connected to my own inner truth, developing a true feeling approach. I facilitated healing and meditation retreats, as well as running a private naturopathic clinic, to help people connect to their inner truth to live a life of harmony. If you would like to work with me to find your True Path of Healing to help you to regain True Vitality and Harmony, then I would love to meet you, so please book in or email me and we can get started.